The Resistance Exercise Tubes have soft grip handles for uninterrupted rehab and training exercises. These red coloured tubes provide medium resistance, ideal for progressing strengthening exercises. Unlike weight and pulley devices and weight machines, the figure of eight tubes allow for all strengthening exercises to be done in functional, sports related movements. This makes them perfect not only for people with injuries but for sports training. The resistance provided by the PhysioRoom.com Resistance Exercise Tubes allows for specific strengthening of muscle groups and tendons during rehab and sports training. Resistance Tubes are made from a high grade medical rubber, 99.99% free from latex allergens. Depending on their level of elasticity, they provide a graded amount of resistance to movement. They provide an excellent method of resistance training for the strengthening of specific muscles and tendons. Start with the lowest level of resistance and build sets and repetitions gradually. Then once the exercises become too easy, move on to the next level of resistance provided by the next Resistance Exercise Tube. PhysioRoom Resistance Exercise Tube (medium) - Pack of 2 bands is in stock and available for immediate dispatch from our Warehouse facility in Lancashire, UK. Orders placed by 4pm Monday to Friday (excluding Bank Holidays) are dispatched the same day. 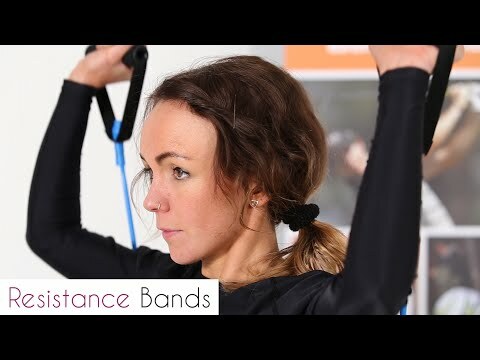 If you need your PhysioRoom Resistance Exercise Tube (medium) - Pack of 2 bands in a hurry, next working day delivery is available for UK mainland addresses.